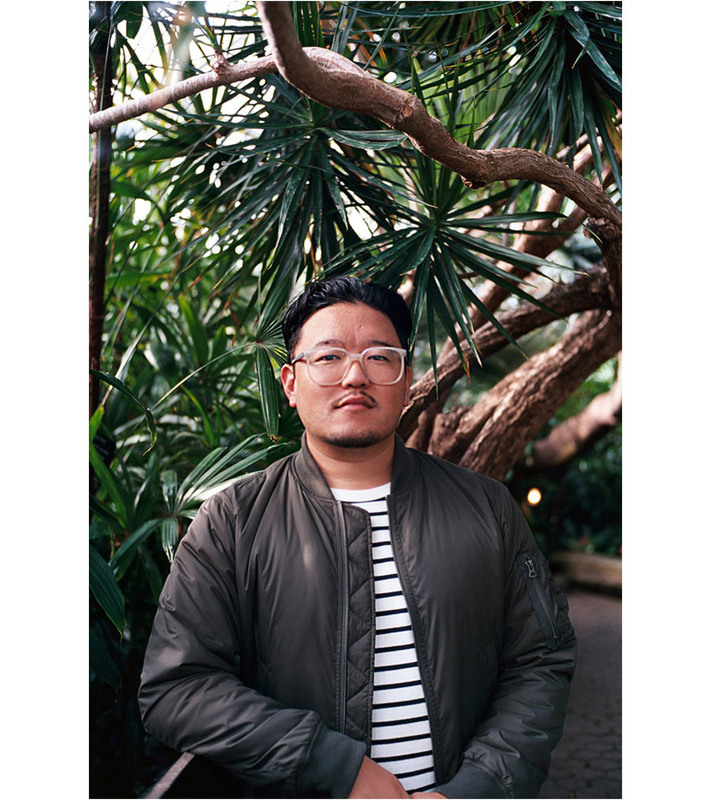 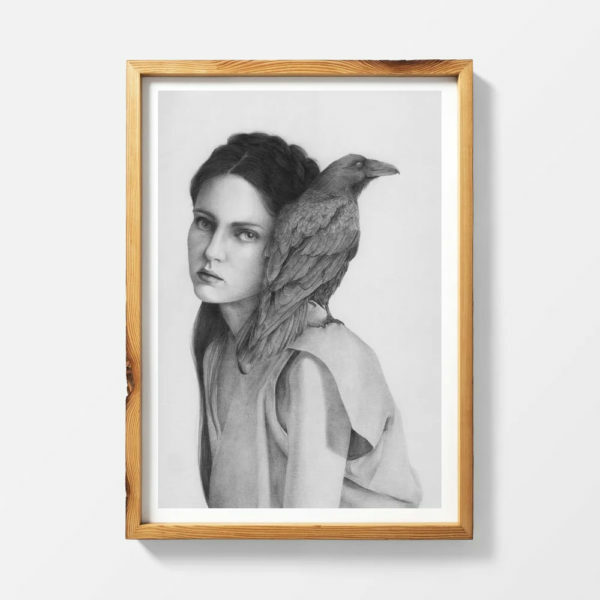 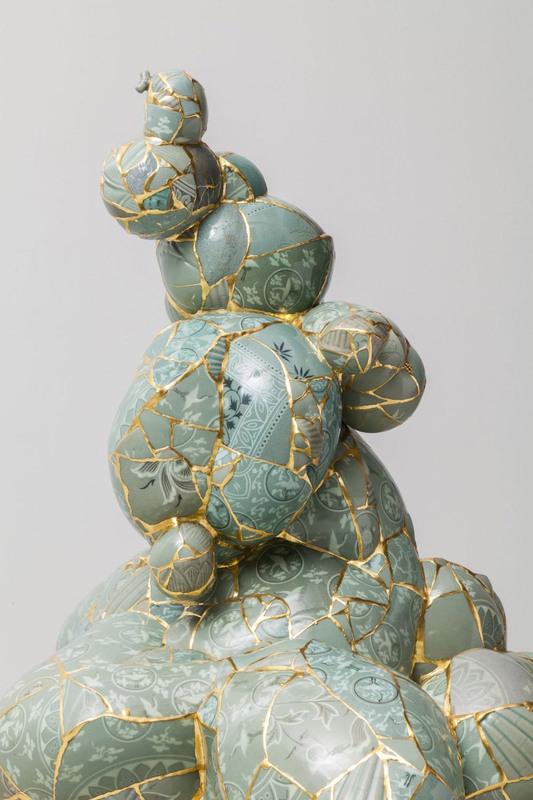 According to Korean tradition, artisans have a habit of destroying and discarding imperfect pieces. 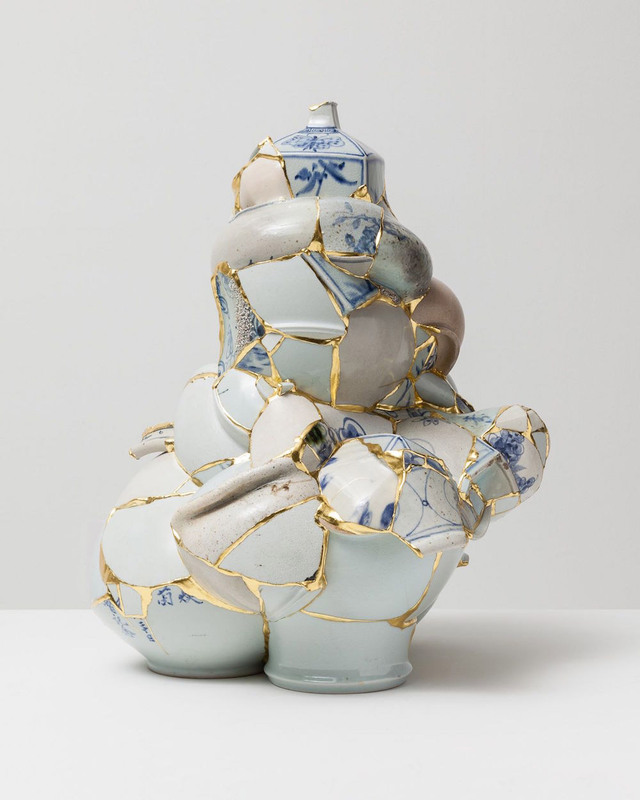 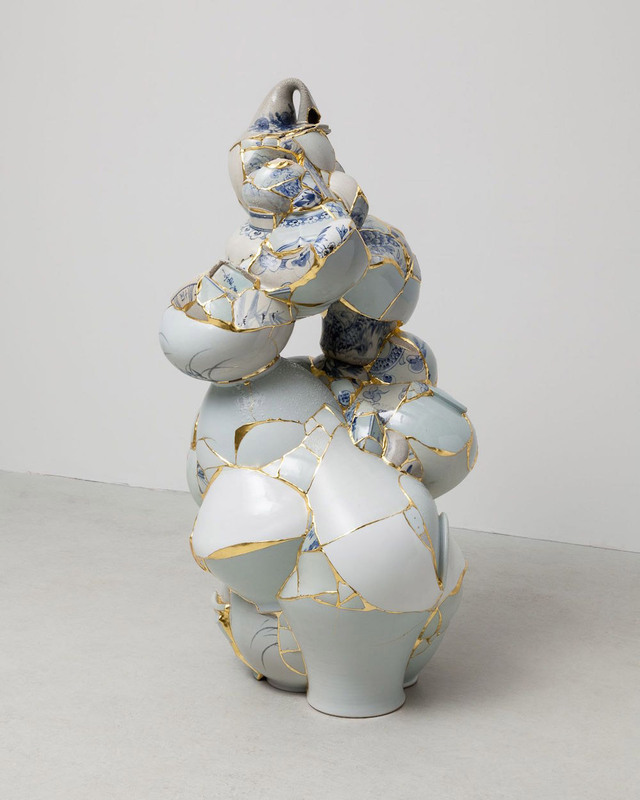 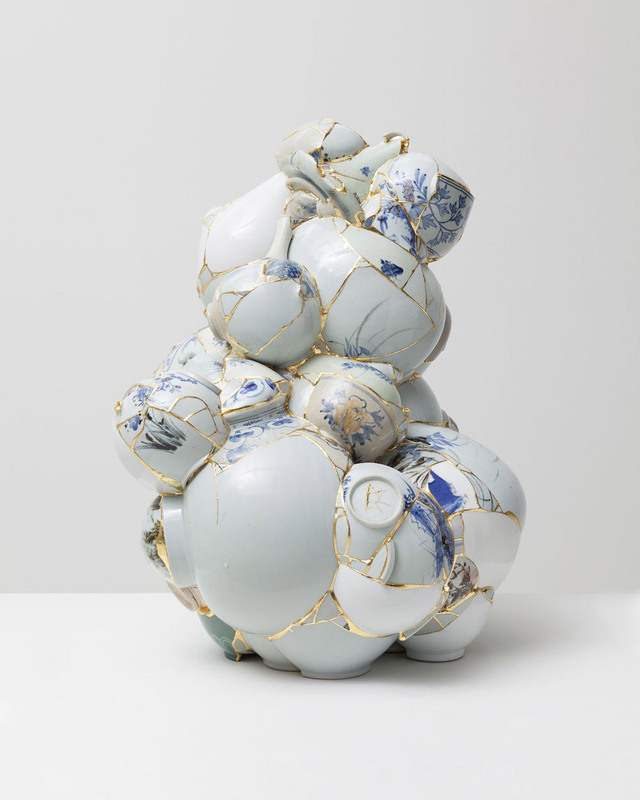 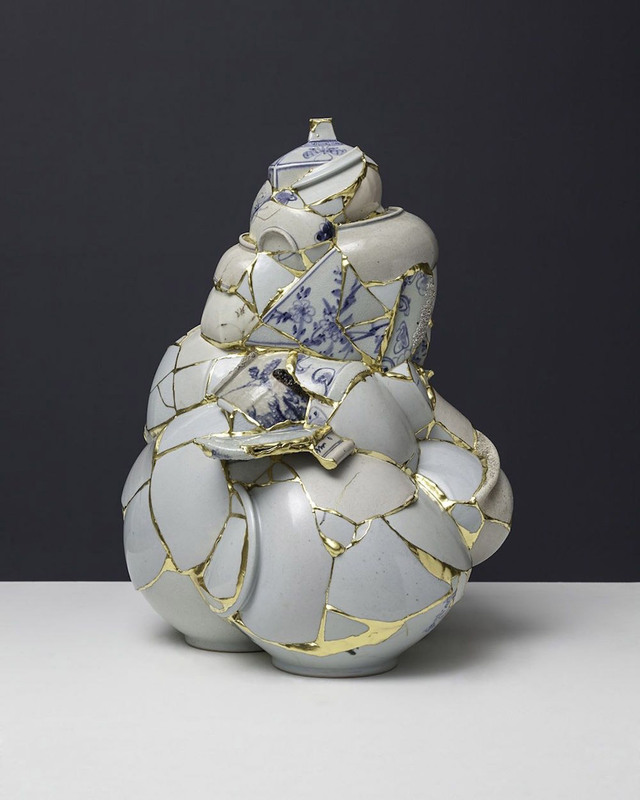 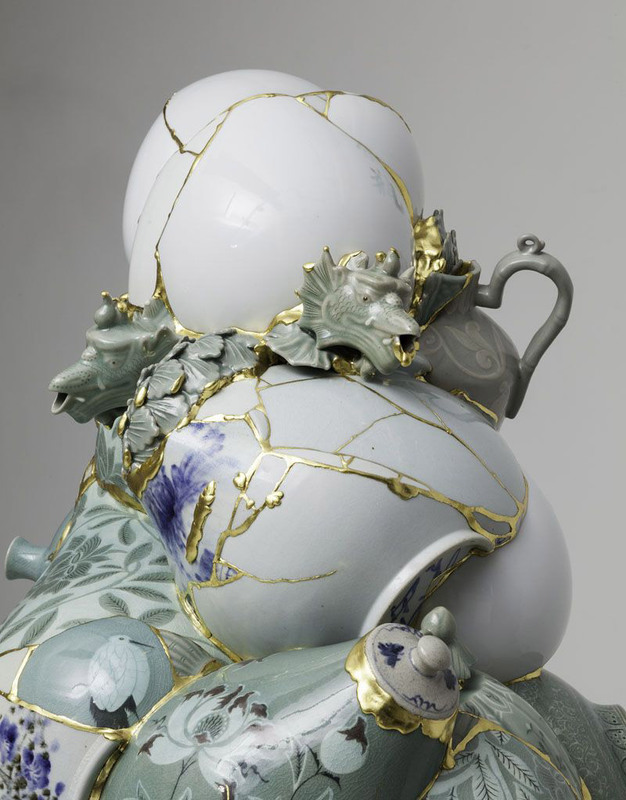 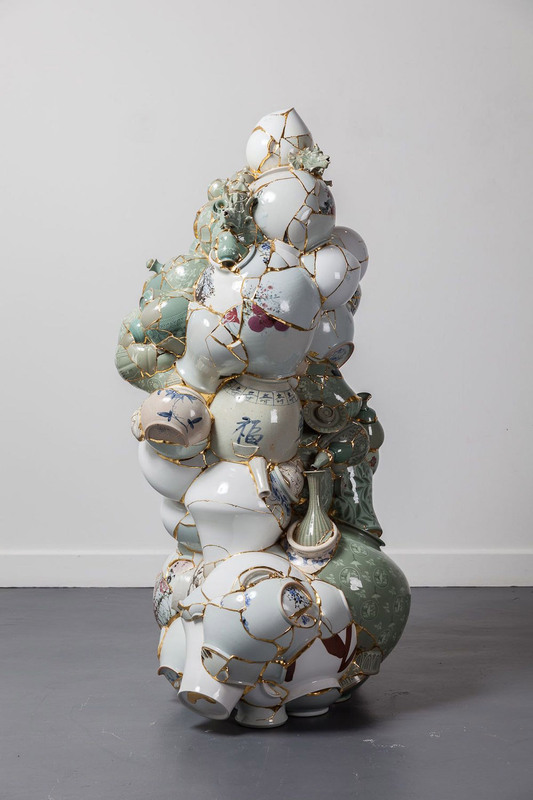 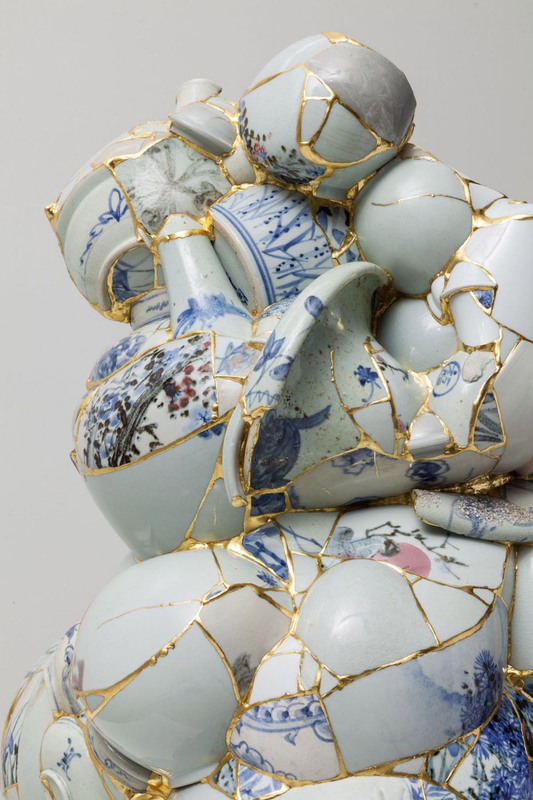 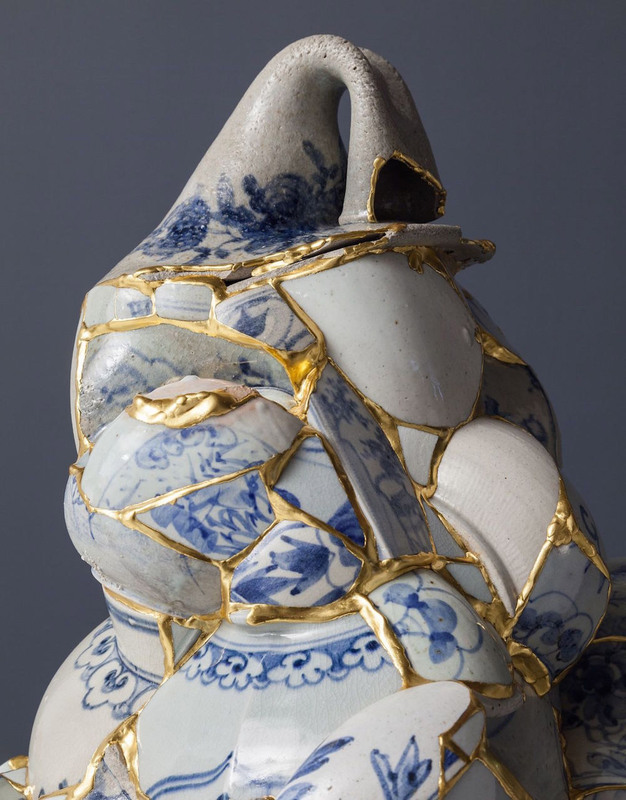 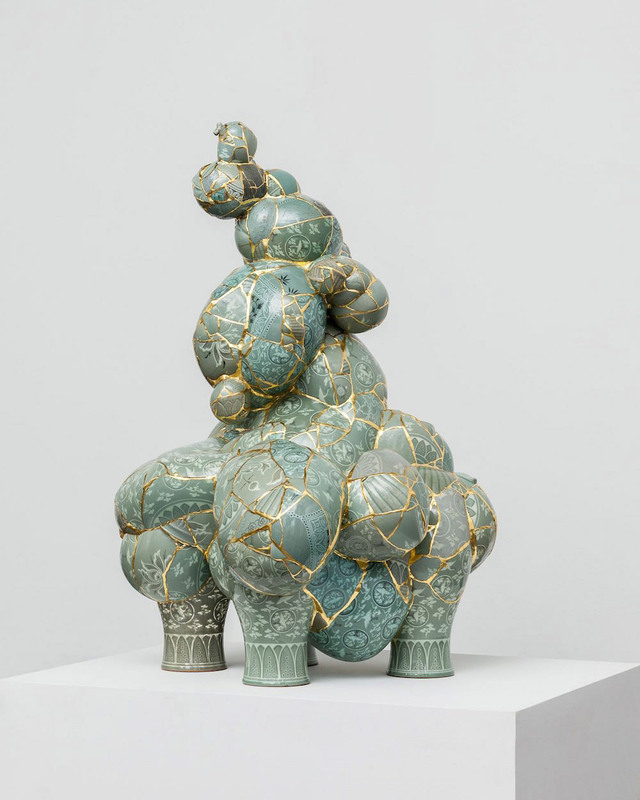 Since 2001 Korean artist Yeesookyung has taken these porcelain fragments, creating beautiful, imperfect sculptures by fusing them with gold leaf in the Japanese tradition of kintsugi. 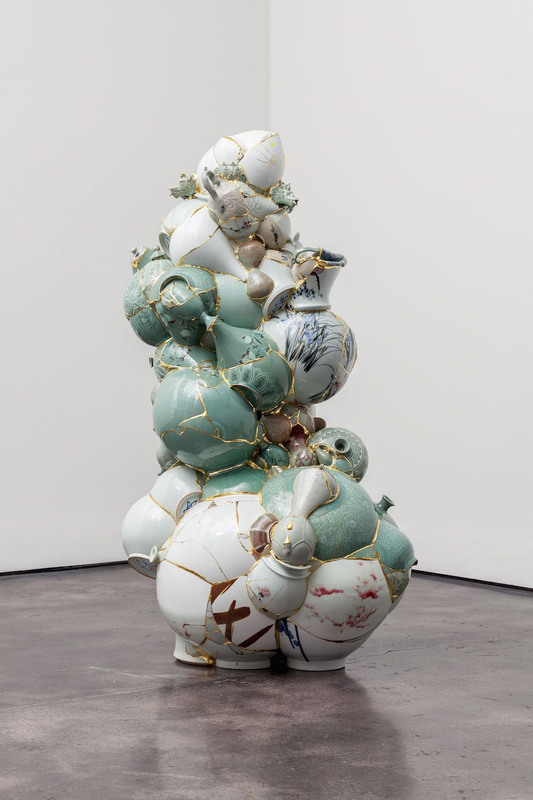 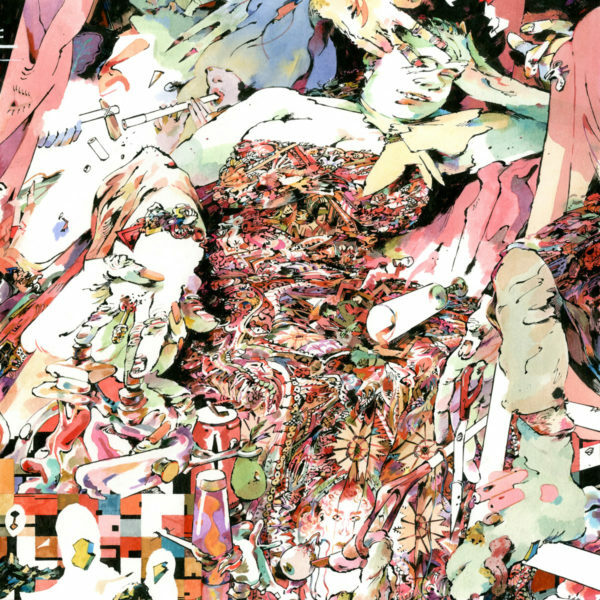 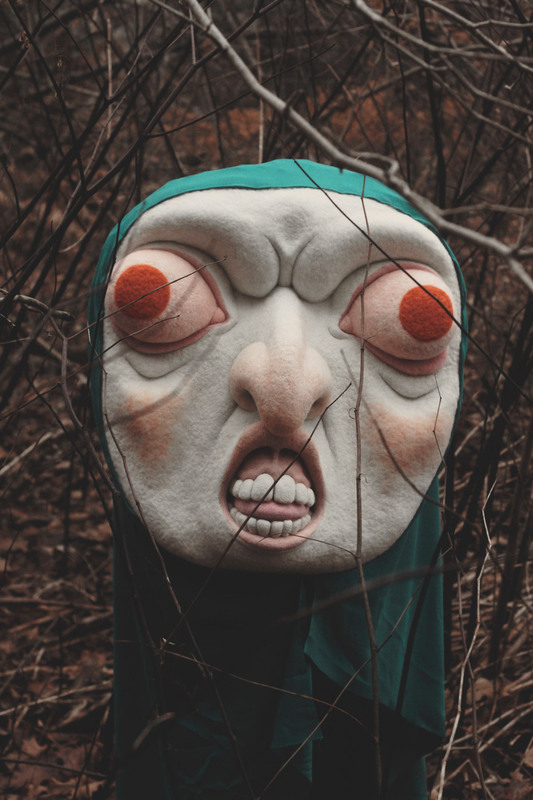 See more images from “Translated Vase” below.